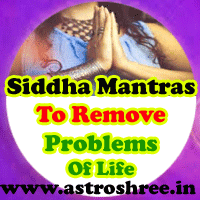 Siddha Mantras to Solve problems of Life, spells to solve problems of life in Navratris, powerful mantras to bring success in life. Spells are powerful means of protection. Navratris are best days to activate any mantra and to use them to bring success in life. Many people are asking about spells to use for protection. In this article I am going to provide some easy and powerful Spells/mantras for protection. Know the best spells for protection. Know the process to perform Mantra Prayog. Process: Take 4 stick of Palaash wood and then keep it on worship place. Chant the above spell 1000 times and then blow on the sticks and then put them in 4 corners of any house. This will protect home from negative energies. In navratris this prayog will give best result. Process: If you are short tempered and face problems in life then this spell will help you. Daily chant this mantra 21 times and you will get the benefit. Start from navratris. Process: If you are a lady and misfortune is regularly harassing life then this mantra is for you. Start chanting this mantra from Krishn Paksh Chaturdashi and continue till Trayodashi of next krishn paksh. This will bring away the misfortune and bring fortune. 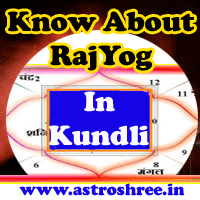 If there is any yoga of premature death in horoscope or if you think that there is fear of death in mind then this spell is for you. By blessing of lord shiva you will be able to overcome from the fear of akaal mrityu. Process: First of all chant this mantra 10000 times in navratris and then chant this daily 108 times. Process: During navratris do chant the spell 21 times in morning and in night. This will remove any tantric pryog done and also protect from planetary problems. So above I have given some powerful siddha spells to solve problems of life like spell to protect home from negative energies, spell to bring down anger, spell to getrid of fear of premature death, spell to overcome from any tantra baadha. Hope this article will fulfil wishes of people who are facing problems in life.